For those of you planning your LA Beer Week 2014 – #LABW6 agenda, here are a slew of Stone Brewing company events to consider, kicking off a bit early with tomorrow night’s “Mother of all Tap Takeovers” at Story Tavern. Mystery Tap Saturday beginning at 11 a.m.
To kick off LA Beer Week, Stone is tapping two amazing mystery beers. Facebook fans will be the first to get a sneak preview of the beer list at 10 a.m. To find out the beers or “like” the page, visit Facebook.com/StoneStorePasadena. Big Bottle Sunday beginning at 11 a.m.
Stone is going big for LA Beer Week celebrations and breaking into the cellar to bring out vintage and barrel-aged bottles for fans to purchase. More details are available for the 3-liter bottles and Quingenti Millilitre 500-ml bottles available for sale. Beer U: Pasadena – Barrel Aging from 7 to 9 p.m.
Join Steve Gonzalez, Stone Research & Small Batch Brewer, for a casual and educational discussion about the deliciously enhancing magic of barrel aging beers, while guests enjoy a variety of Stone barrel-aged creations. Beer list includes: Stone w00tstout 2.0, Stone Arbalest (Belgian Pale Ale aged in Bourbon Barrels), Stone 11.11.11 Vertical Epic Ale aged in Red Wine Barrels, Stone Passion Project and 2012 Stone Old Guardian Barley Wine aged in White Wine Barrels. Tickets are $20 and may be purchased in advance at Stone Company Store – Pasadena only. 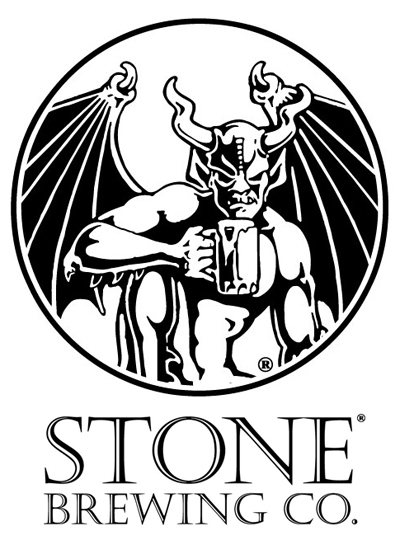 Stone Vertical Epic Ale Tuesday beginning at 11 a.m.
Stone is digging deep into the archives and bringing out Stone Vertical Epic Ales to share with LA-area fans. More details are available for the beers that will be on draft and the bottles available for sale. Wednesday with Wil Wheaton from 7 to 9 p.m.
Stone collaborator Wil Wheaton is back to celebrate LA Beer Week with an epic tap takeover event showcasing some of his brews, as well as other amazing Stone collaboration beers. During the event, Wheaton will be onsite to mingle with fans and exchange geeky homebrew lingo. Stone is donating a portion of the event’s proceeds to the Pasadena Humane Society, a non-profit organization close to Wheaton’s heart. Details on the beer list are available. Thursday Liberty Station Brews from 7 to 9 p.m.
Join Stone Brewing World Bistro & Gardens – Liberty Station Brewing Manager Kris Ketcham and fellow collaborators NASA’s Bobok Ferdowsi, and actress and Team Unicorn star Rileah Vanderbilt, while they show off the fruits of their labor. The evening’s draft list includes Stone Brewing World Bistro & Gardens – Liberty Station Unicorn Summoning Ale (collaboration with Rileah Vanderbilt), Stone Brewing World Bistro & Gardens – Liberty Station Galileo’s Four Moon Brew (collaboration with Bobak Ferdowsi) and a new Stone Brewing World Bistro & Gardens – Liberty Station beer yet to be announced. Small Batch Saturday beginning at 11 a.m. Fans will have a chance to taste some of the special barrel-aged creations from the Stone Small Batch Team featured during Monday’s Beer U with Stone Research & Small Batch Brewer Steve Gonzalez. Draft list: Stone Passion Project, Stone “The Tiger Cub” Saison aged in White Wine Barrels, Stone Arbalest (Belgian Pale Ale aged in Bourbon Barrels) and more to be announced on the Stone Company Store – Pasadena Facebook page at 10 a.m. For more information or to “like” the page, visit Facebook.com/StoneStorePasadena. 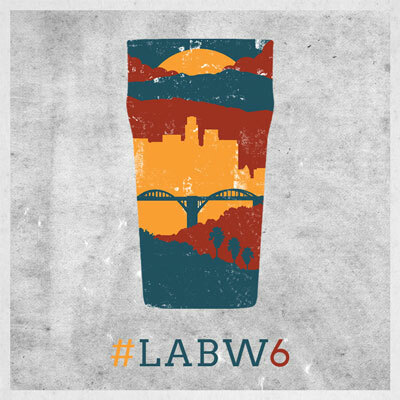 Stay tuned for more info on remaining #LABW6 events!